Banjo kazooie 3 “Nuts and Bolts” It’s out!! The game I have been working on for 1 year is finally out. Run! It is gorgeous and it is really fun! Once in a while Fool.com posts some interesting article and I found an interesting one today entitled “What to do with $5,000“. What interested me in this article was a series of links to the free online MIT and Berkeley University courses. I am not too sure how to naviguate on the MIT website and couldn’t find the actual courses but the Berkeley one seems easier to naviguate and finding videos and mp3s was really simple. I am currently listening to the Social Psychology lecture by Dacher Keltner. On the same topics, Stanford University is also broadcasting some amazing lectures, talks and interviews with some of the most relevant people in business. 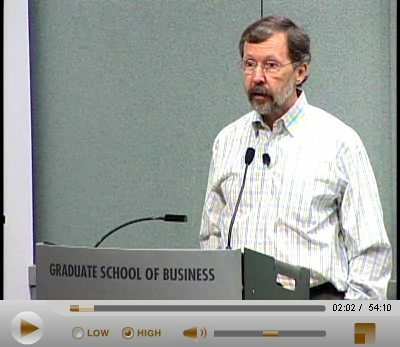 Do not miss the Ed Catmull talk by the way if you haven’t heard it yet.